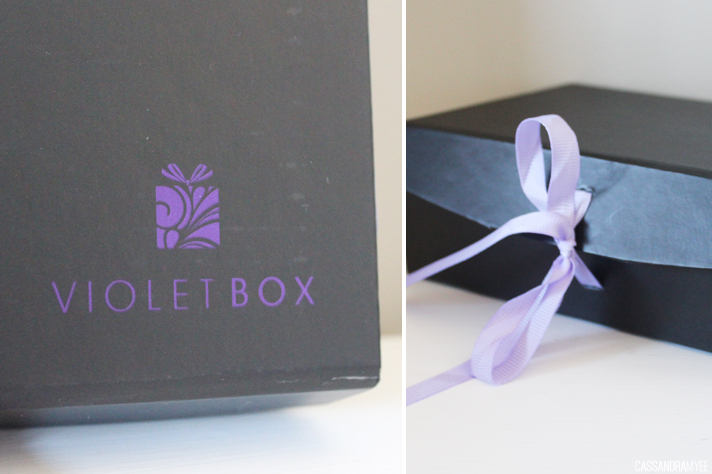 The box is well packaged, in a simple black box with magnetic closure and purple ribbon to tie it all together. Inside there is violet tissue paper that you unwrap to reveal the contents. 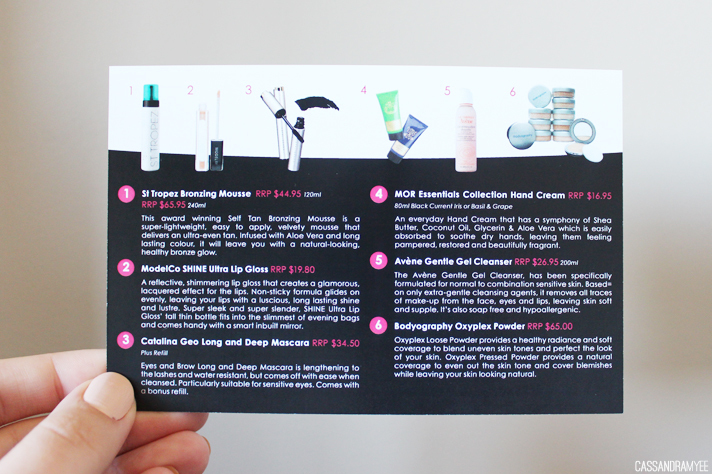 A standard in all these boxes is an information card with the products and a bit about them as well as the price. 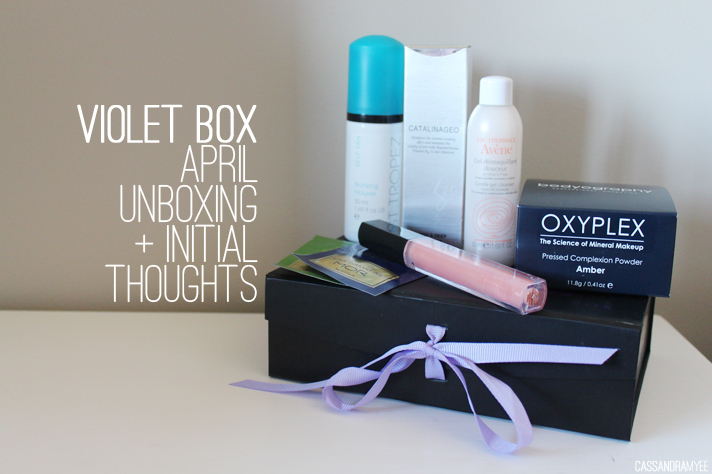 The April box arrived with 6 products in it, three of which are full sized. I am very excited to see this product in this box, I have tired other tanning mousses but have yet to delve into St. Tropez, but I always hear amazing things about it. 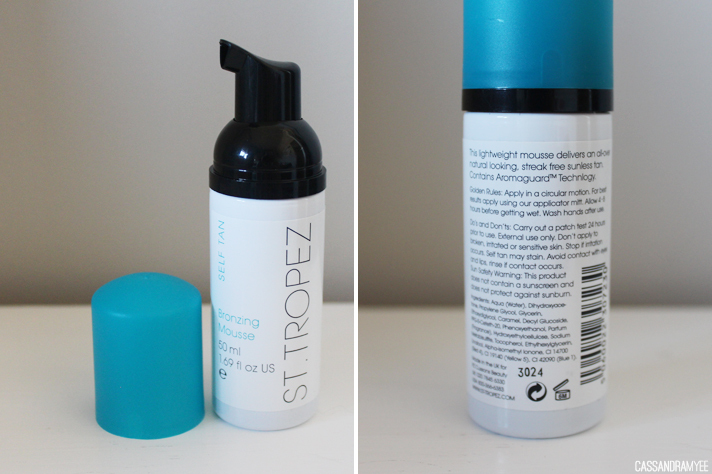 I use St. Moriz which apparently is a good dupe/cheaper alternate to St. Tropez, so I look forward to seeing how it compares to that. This is a 50ml can that should give me many uses. Now I am a bit iffy about lip glosses. 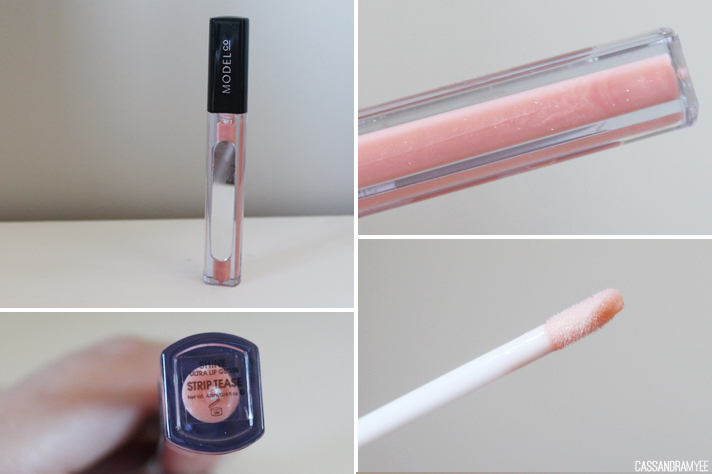 I have been trying to get into them more, previously I dismissed them straight away, but I feel I need to give them a chance and hopefully this Model Co. lip gloss will change my mind. I've tried other Model Co products and they are great (my Mum actually loved their lip glosses!) The colour is a soft peachy, coral so will work with many pinks and nudes. It promises to be non sticky (my major problem with glosses) that leaves your lips with a long lasting shine and lustre. This is a full size product and is almost the price of the actual box - I am already impressed! 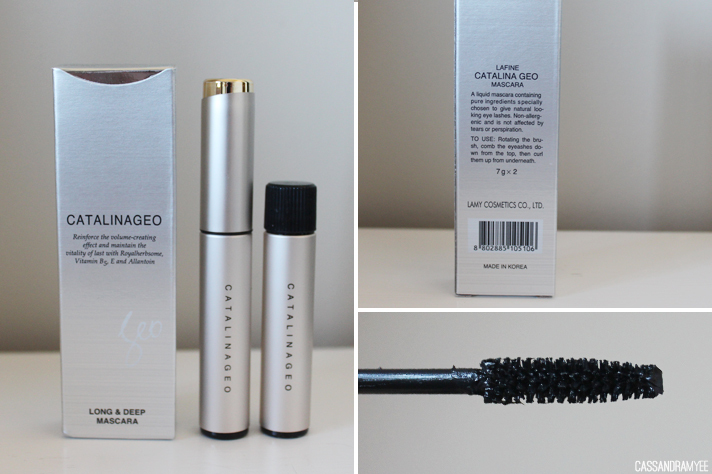 I got very excited when I saw a mascara includes in the box; I love mascaras and love testing out new ones, and this brand, CatalinaGeo, is one I have never heard of but the I am looking forward to trial. On the box it says it is made in Korea (very intriguing) and it promises to have pure ingredients to give long, natural looking lashes and is specifically suited for people with sensitive eyes. The packaging feels very luxurious and it comes with a full size refill as well. 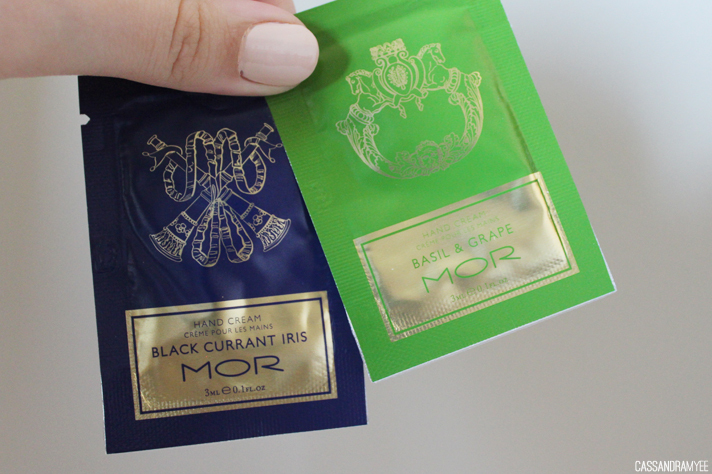 These are two 3ml sachets of MOR's hand creams, which I already really enjoy. I am using one at the moment and find it be moisturising with a very strong scent that fills the room.These hand creams have shea butter, coconut oil, glycerin and aloe vera in them, which are great to pamper and nourish the hands. 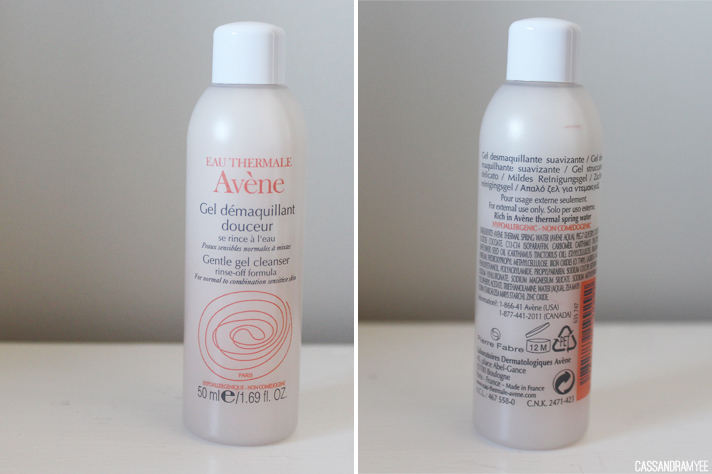 I've had the chance to try out an Avene cleanser in a previous Sample Bar box and really loved it, so I look forward to trying another. This is a generous 50ml bottle, which means you can really get a good opinion on the product instead of just trying it once. This is a gentle cleanser, aimed at normal to combination/sensitive skin. The last product in the box is another full sized one and is a pressed powder from a brand I have never heard of at all. The brand is Bodyography and is made in the USA. 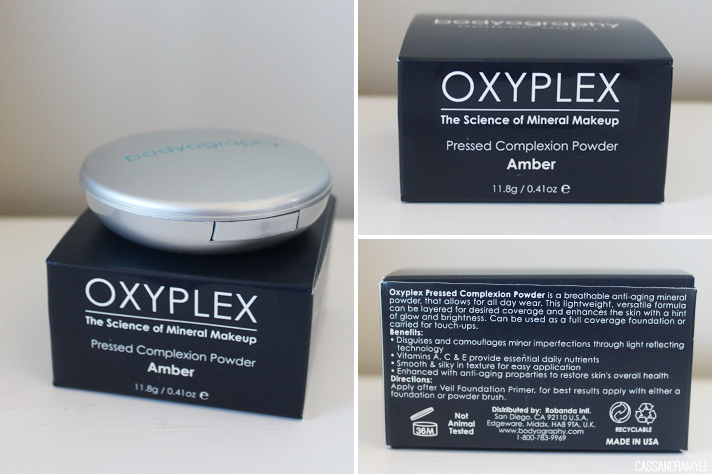 The powder promises to be a breathable, anti-ageing mineral powder that is lightweight and can be used as a powder foundation or as a setting powder. 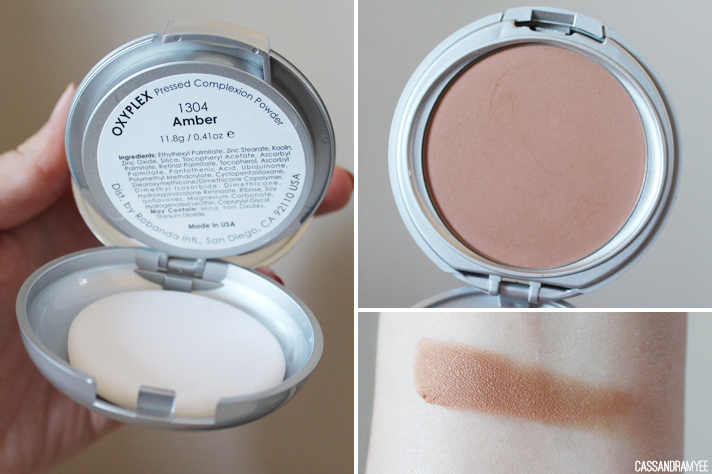 Now when I opened the compact to see what the shade Amber looked like, I was immediately disappointed as it is clearly waaaaay to dark for me, but after swatching it I think it is going to be a really good natural bronzing shade - it is completely matte, so could be great for contouring. This is a full size and it retails for $65, which is crazy and pretty much what you would pay for MAC Studio Fix powder etc. Being my first every Violet Box, I am seriously impressed and so happy with the products inside. 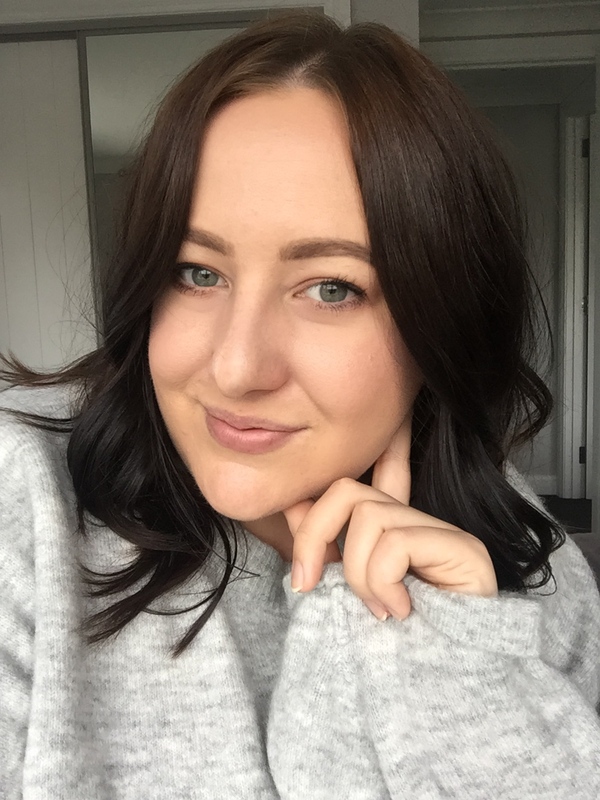 It is a great mix of beauty items and skincare; with three full-sized products and 2 great sample sizes, I hope that the next Violet Box's are just as good! I did a bit of math to calculate how much the box is worth compared to what I spent and it worked out to be around $146 worth of products which is incredible, seeing as I spent $29.95 on it. Really the Bodygraphy powder alone was well worth getting the box! If you are interested in getting a little gift of beauty each month, this is worth looking into and would make a great gift for someone as well. Let me know if you got a Violet Box subscription, or if you have tried any of these products.